Add a personal touch to the ANKY® bandages Pride with your national flag! 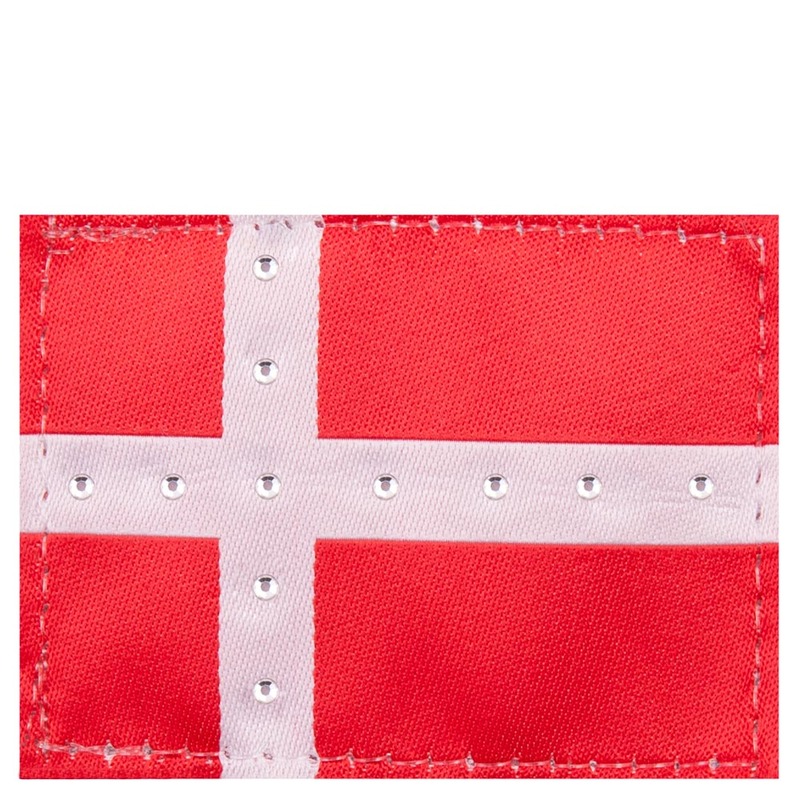 These flag badges can be attached to the ANKY® fleece bandages Pride, item A30312, with Velcro. 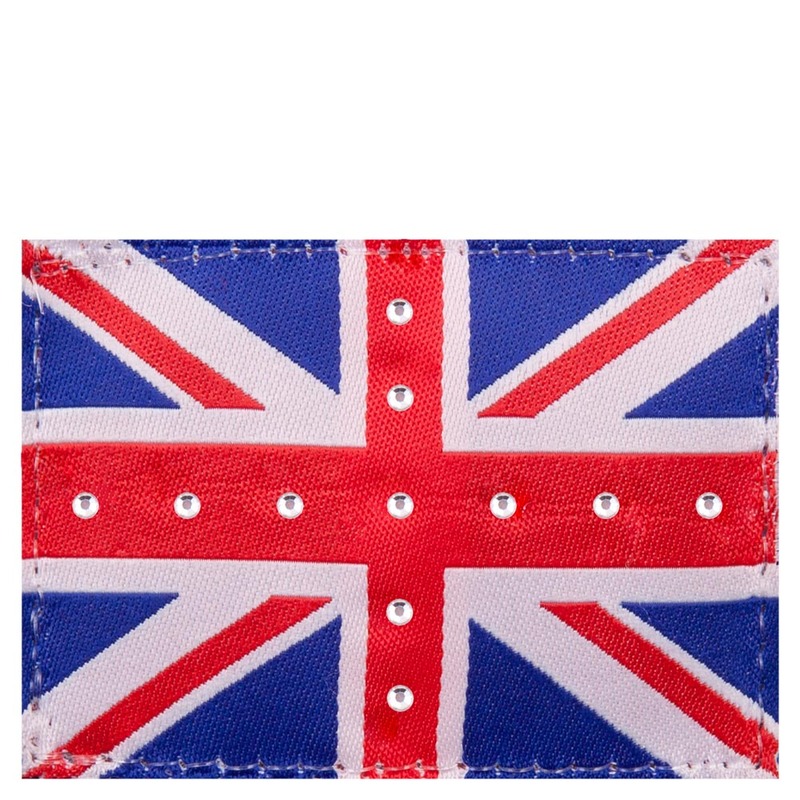 The flags are embellished with little gemstones and come in a set of 4. 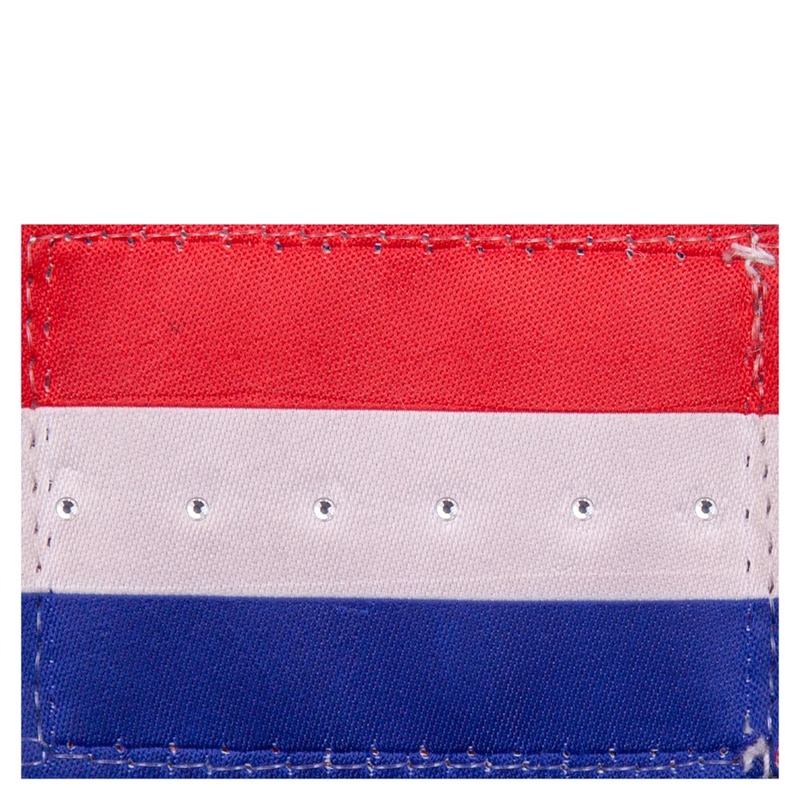 You can choose from the following flags: the Netherlands (RWB), Denmark, Belgium and Great Britain. 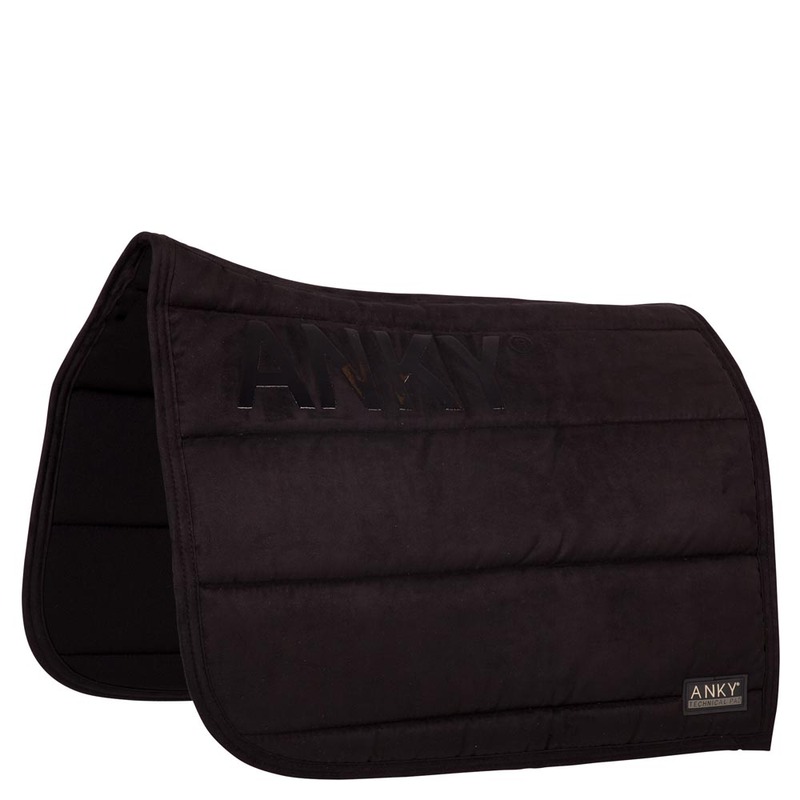 The exterior of the ANKY® Saddle Pad is made of tactile suede with non-skid silicone print on both sides to avoid movement of the saddle. The interior fabric is designed with Coolmax® to provide optimal moisture management. The thick filling inside ensures the saddle will remain perfectly in place and pressure is divided evenly. Show your roots with these ANKY® bandages! 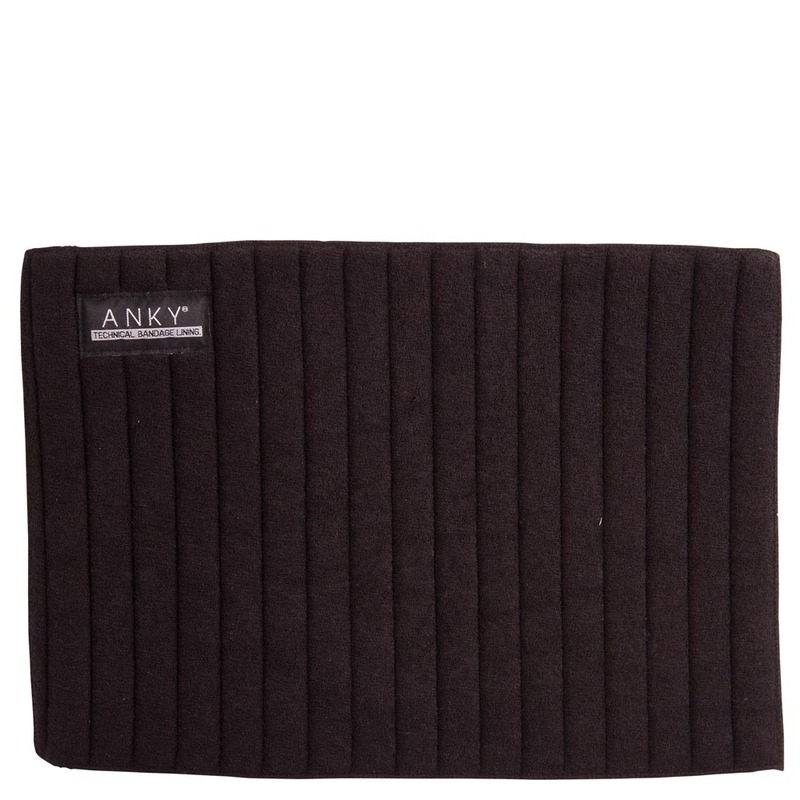 These ANKY® bandages are made of high-quality fleece (100% polyester) with excellent anti-pilling properties. The Velcro closures are embellished with a shiny badge with small gemstones in the shape of the ANKY® logo. Add a personal touch with your national flag! These flags can be bought separately and can be attached with Velcro. 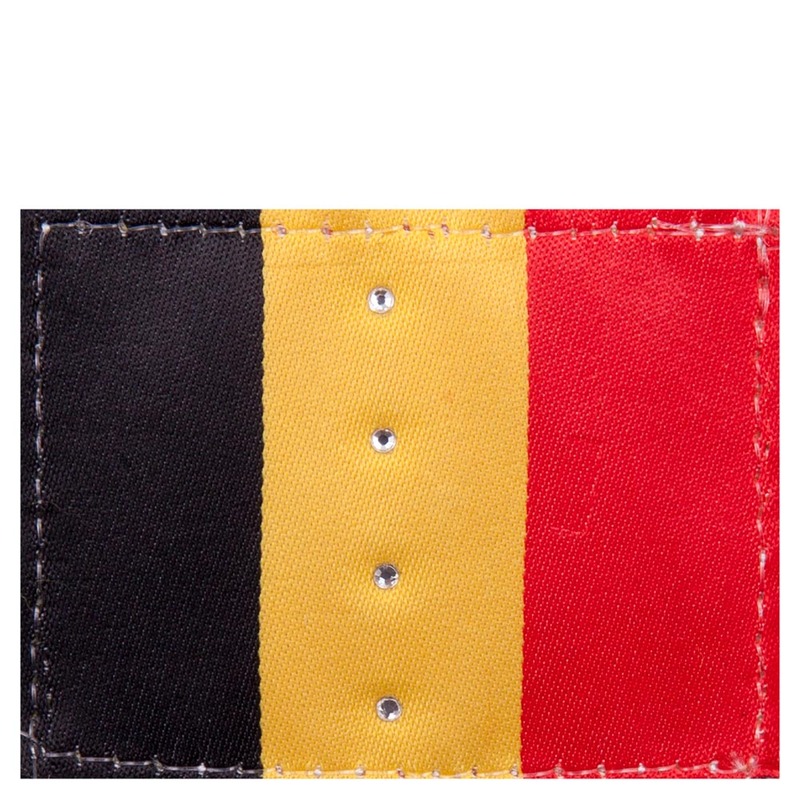 You can choose from the following flags: the Netherlands (RWB), Denmark, Belgium and Great Britain. The bandages are 3.5 m long and 12 cm wide. Set of 4 per package. The ANKY® underbandages are made from Cooldry and are designed to wick away moisture from the leg. They offer protection and devide the pressure from bandaging. Set of 4 pieces. Size 30x45cm, available in black & white. 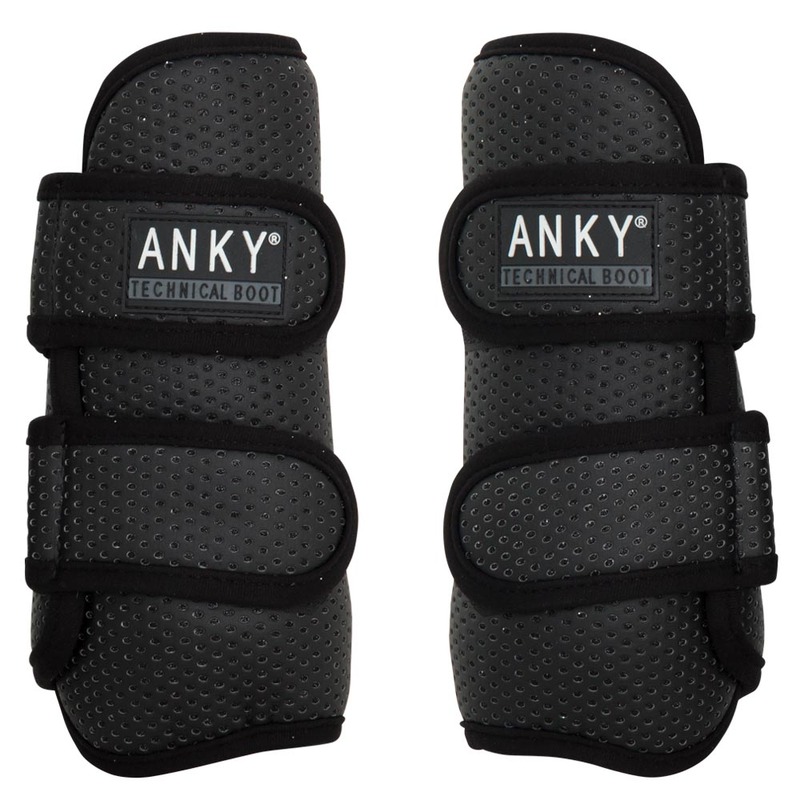 The ANKY® Climatrole horse boots set a new standard when it comes to leg protection! Both the flexible, yet shockproof synthetic shell and the shock-absorbing neoprene lining are perforated. These perforations encourage the natural flow of air, as a result of which heat and moisture can be transported easily. In addition, the boots are equipped with the registered I.4U Heat Dispenser System in the form of aluminium collectors on the skin side. These small metal discs collect the heat of the leg and transport it to the outer of the boot. The aluminium remains cool during this process. The horse boots are not glued together to make sure that the technical functions are not blocked. The outer of the boot is finished with perforated synthetic leather. The underlying technical metal coating shines through the perforations, which allows for a subtle sparkling effect. The lightweight boots have secure Velcro closures and can be put in the washing machine. Complete the set with the ANKY® over reach boots Climatrole, item A31201. Let your horse shine with the ANKY® Climatrole Soft & Shiny over reach boots! These lightweight over reach boots are specially designed with a lining made of shock-absorbing neoprene. The outer is finished with perforated synthetic patent leather. The underlying technical metal coating shines through the perforations, which allows for a flashy look. The boots feature a luxurious sheepskin lining around the top, made of 100% genuine medically tanned sheepskin. This material absorbs moisture; is permeable to air; removes heat and is also very soft. 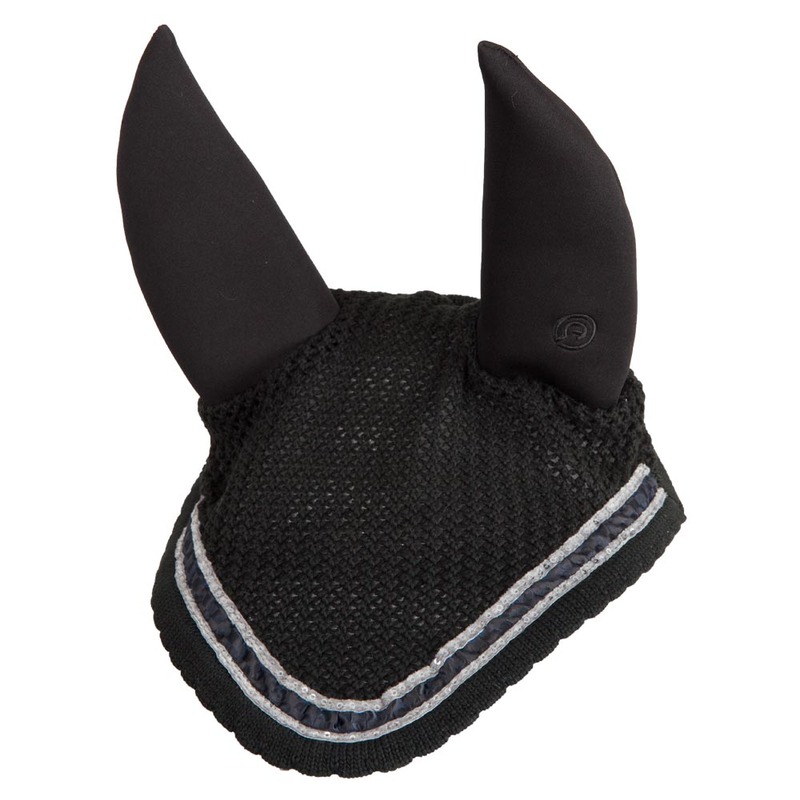 Especially suitable for horses with sensitive skin! The over reach boots have a secure folded back Velcro closure and can be put in the washing machine. Over reach boots serve to prevent injury to the hoof and bulbs caused by striking. Complete this shiny set with the ANKY® horse boots Climatrole Shiny, item A29402.